Women’s Embroidered Sweatshirt Just $9! Down From $19! 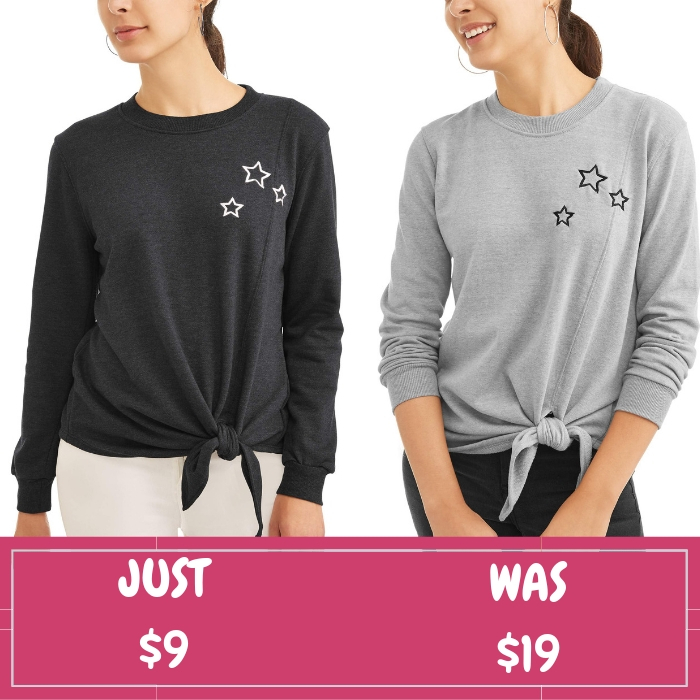 Walmart is currently offering this Women’s Embroidered Sweatshirt for just $9 down from $19 PLUS FREE store pick up or FREE shipping for orders $35 or more! This is a fun twist on a sweatshirt with star embroidery and a knot front hem. Women’s Long Sleeve Star Embroidered Sweatshirt is comfortable to wear! 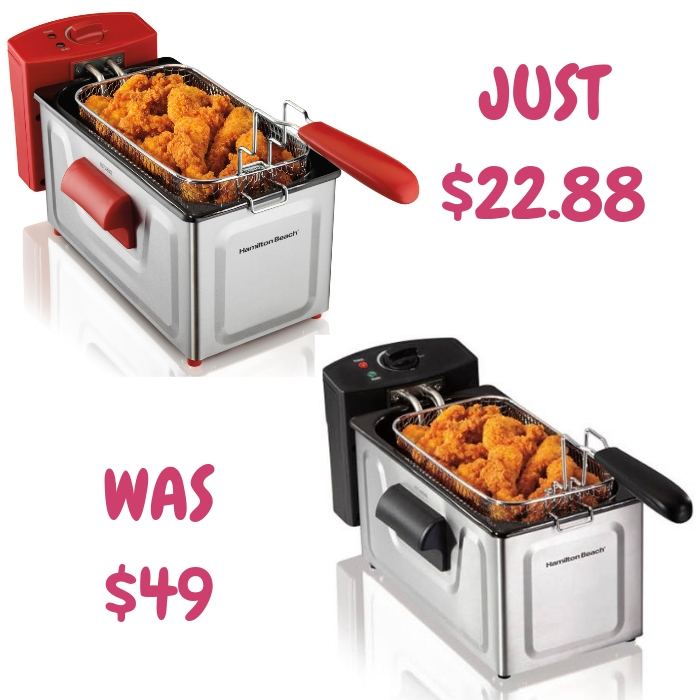 Hamilton Beach Deep Fryer Just $22.88! 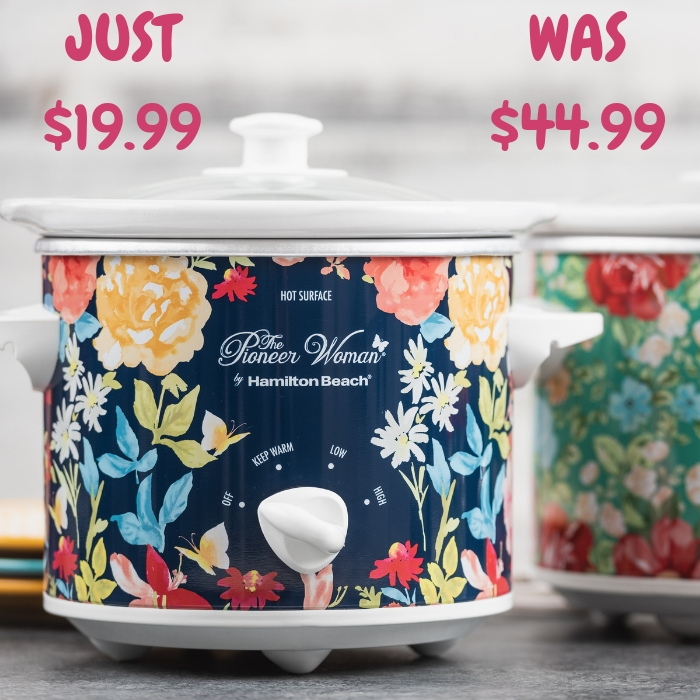 Down From $49! At Walmart, you can score this Hamilton Beach 2-Liter Deep Fryer for just $22.88 down from $49 PLUS FREE store pick up or FREE shipping for orders $35 or more! Hamilton Beach Deep Fryers are generously sized for greater versatility. What’s more, you can fry crispy, mouth-watering foods without the mess you’ve come to expect. Hamilton Beach Deep Fryers also feature adjustable heat. 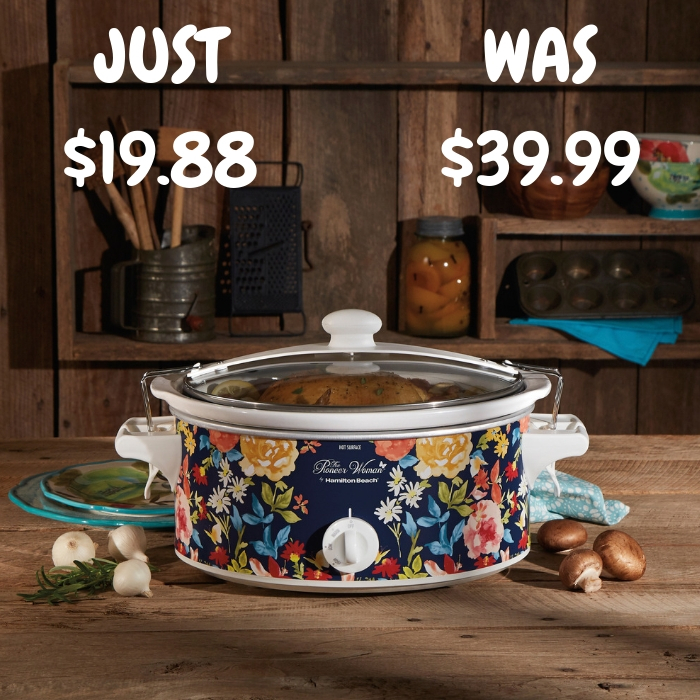 It features a dishwasher-safe nonstick pot with an adjustable heat system, a cooking timer with auto shut-off, a cool-touch body so that you won’t burn yourself and a double filter system. It powers at 1500-watts, comes with a 1-year warranty and also includes a breakaway cord for safe and easy storage. Women’s Trumpet Sleeve Blouse Just $16.50! 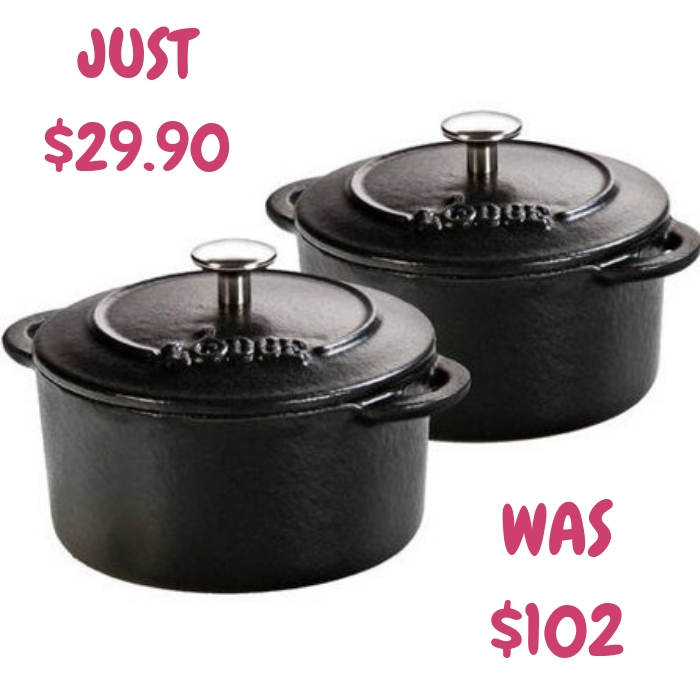 Down From $78! 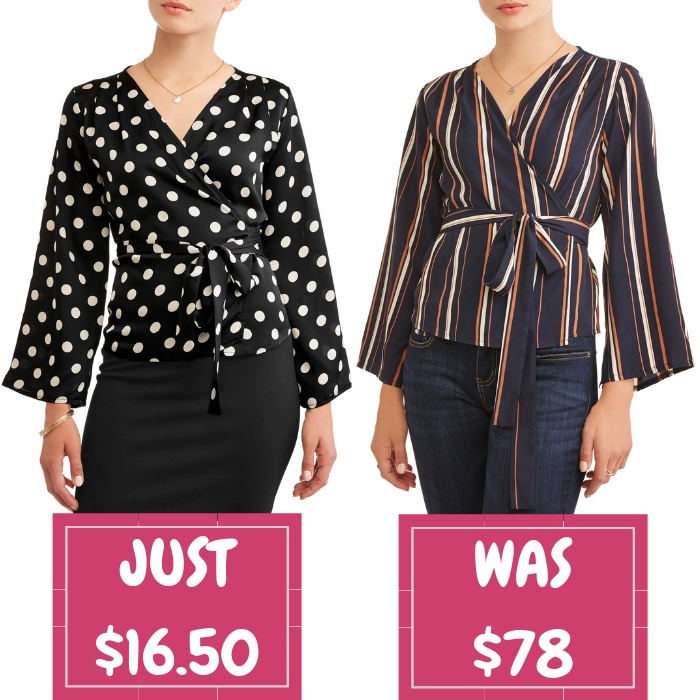 Head over to Walmart to score this Women’s Trumpet Sleeve Blouse for just $16.50 down from $78 PLUS FREE store pick up or FREE shipping for orders $35 or more! Cuisinart 5-Piece Grill Set Just $20! Down From $58! At Walmart, you can score this Cuisinart 5-Piece Grill Set for just $20 down from $57.88 PLUS FREE store pick up or FREE shipping for orders $35 or more! Grill like a Pro with the Cuisinart Chef’s Classic™ 5 Piece Grill Set! 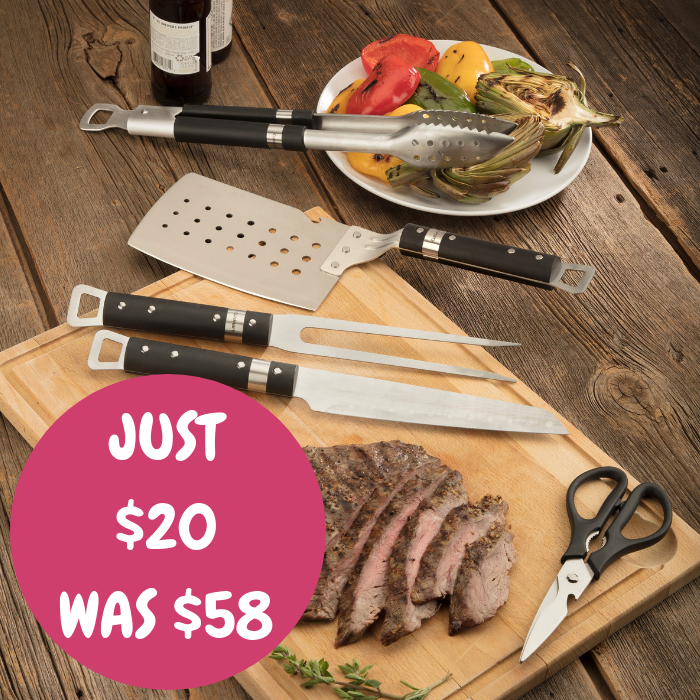 This set includes TriTip Spatula, TriTip Tongs, Carving Fork, Butcher Knife, and Multi-Purpose Shears; the essential tools you need to make your grilling experience convenient and easy! The tools are constructed of professional grade stainless steel with ergonomic plastic handles and integrated hanging loops. The TriTip Spatula has a large surface with a bottle opener and a clever cutting edge. The TriTip Locking Tongs feature a precision point grip, perforations for straining, and a scalloped/firm toothed edge. The Butcher Knife has grooves which helps keep food from sticking to the blade, also allowing for thin, even cuts without tearing the meat. The Carving Fork is perfect for carving and serving your meals. The Multi-Purpose Shears have many built-in features including food cutting, fish scale scraper, nut cracker, and bottle opener. Enjoy grilling even more with the Chef’s Classic™ 5 Piece Grill Set! Also, a great gift for any grilling enthusiast! Mainstays Floral Throw Pillow Just $5! Down From $13! At Walmart, you can get this Mainstays Floral Throw Pillow for just $5 down from $12.88 PLUS FREE shipping for orders $35 or more! Bring home fresh-cut flowers and high-spirited attitude with the Mainstays Floral Work Hard Dream Big Throw Pillow. Perfect to toss on your favorite chair, sofa or bed, this fuchsia-colored accent pillow adds a charming, comfortable touch to any room. Made with a clean, simple design, this square-shaped throw pillow features finished seams, artistic floral decorations and a white text graphic. A wreath of lovely flowers circles graceful, scripted font that reads “work hard dream big” to deliver a cheerful, inspirational message. It reverses to solid fuchsia to change up your style throughout the season. This must-have throw pillow is filled with comfy polyester fill for a cuddly feel that holds it shape, yet is soft enough to snuggle up with for catnaps or movie night. 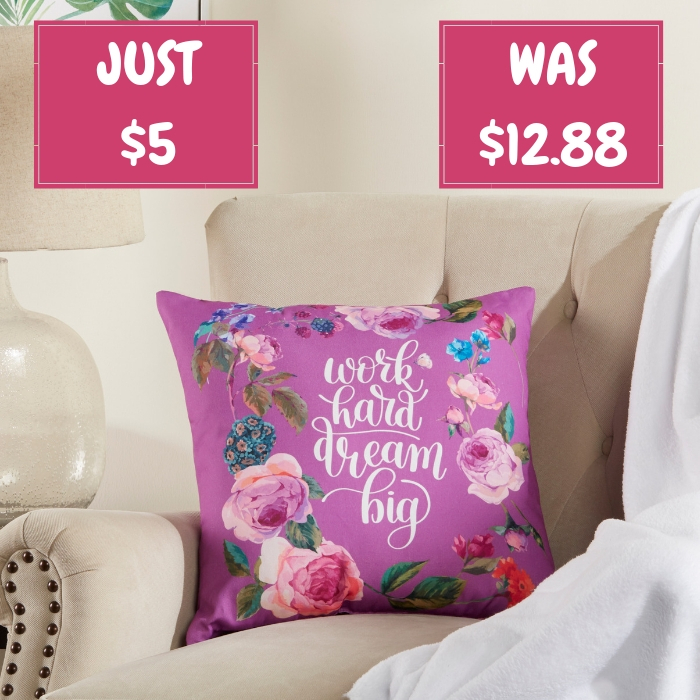 Whether you mix and match with other pillows or let it stand on its own, you’ll love the comfort and style the Mainstays Floral Work Hard Dream Big Throw Pillow brings to your space. Women’s Pullover Sweatshirt Just $4! Down From $16! Score this Women’s Pullover Sweatshirt which is on sale at Walmart for just $4 down from $15.96 PLUS FREE shipping for orders $35 or more! Add some modern style to your basic sweatshirt with this women’s lightweight French terry retro pullover sweatshirt from Shira Pearla. Featuring long contrasting raglan sleeves, this cozy top is a perfect addition to your spring wardrobe. Made from a lightweight and super-soft French terry fabric, it’s comfortable on the skin and will keep you toasty warm when the temperatures start to drop. A straight hemline completes the look, while the relaxed-fit bodice can flatter the hip and waist areas. Pair with skinny jeans and ankle booties when you’re hanging out with friends on the weekend, or with leggings and flats for a comfortable-yet-chic ensemble. Plaid Woven Scarf Just $1.99! Down From $12! Head over to Walmart to score this Women’s Plaid Woven Scarf for just $1.99 down from $12 PLUS FREE shipping for orders $35 or more! Please note that there’s a minimum order of 2. Stay warm and add a bold accent to your ensemble with this women’s scarf from EV1. It’s made of soft acrylic yarn to keep you cozy during the cold-weather months, and features a traditional plaid pattern in red and blue, as well as an eye-catching, multicolored fringe that sets this apart from your run-of-the-mill scarf. There’s also a “Slay” graphic near the edge in metallic studs for a chic textural contrast. One size fits all with this woven scarf; throw it on over a coat, some skinny jeans and booties for a gorgeous and comfortable outfit. 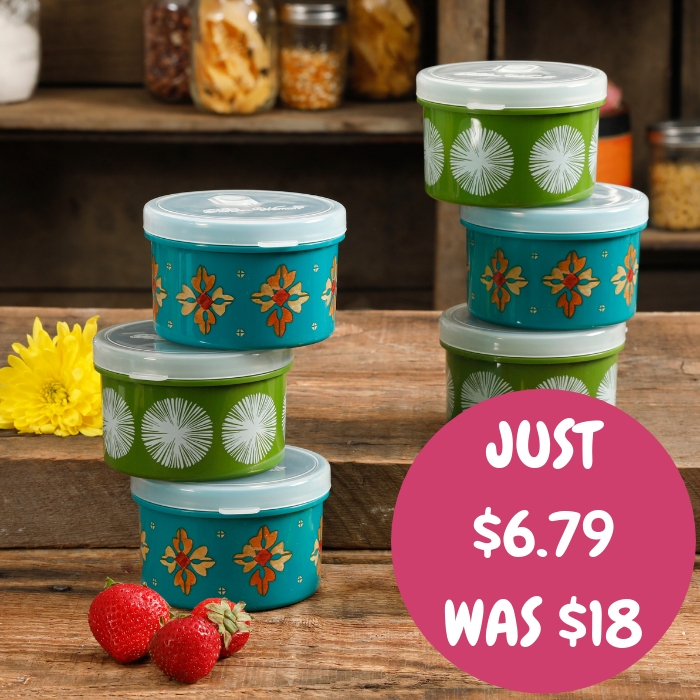 Mosaic Tumbler 8-Piece Set Just $12.86! Down From $21! 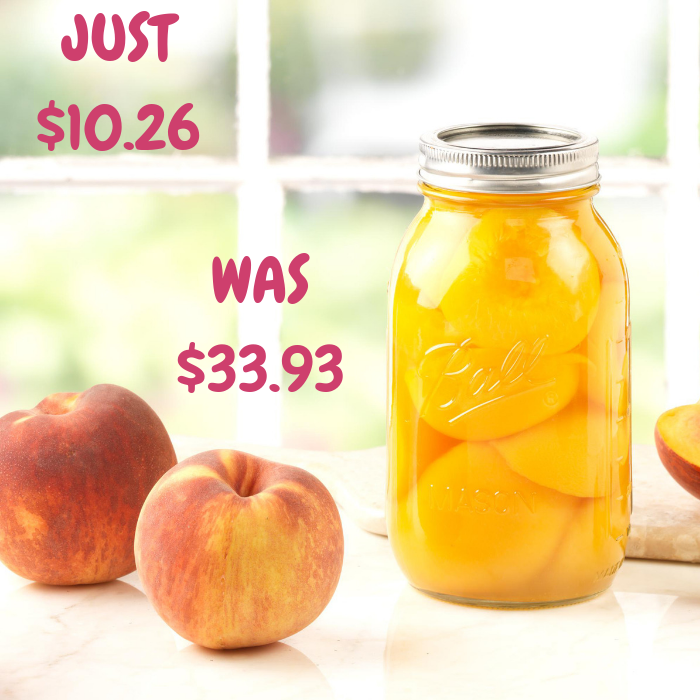 At Walmart, you can score this 20-oz Mosaic Tumbler 8-Piece Set for just $12.86 down from $20.57 PLUS FREE store pick up or FREE shipping for orders $35 or more! 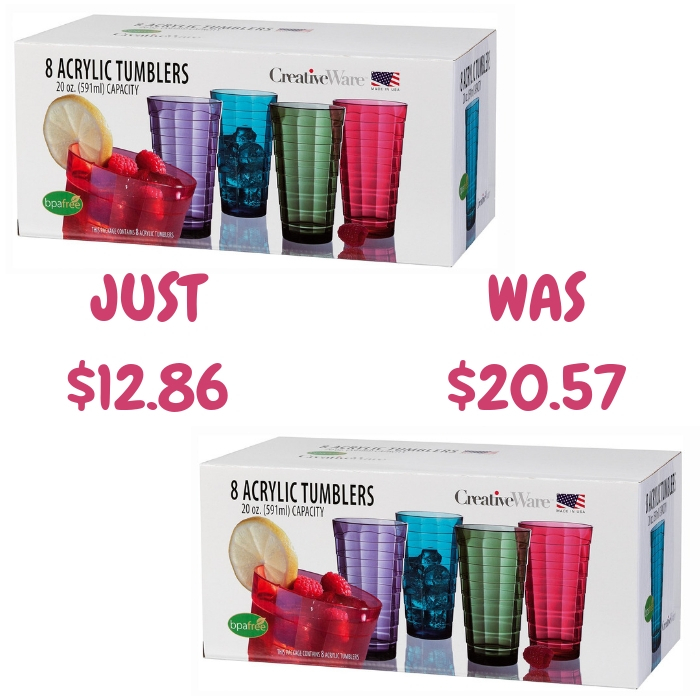 Add a colorful touch to your table with these 20-Ounce Tumblers. They come in multiple bright colors, including strawberry, turquoise, green and purple. This Mosaic acrylic tumbler set contains two glasses in each color. Use them for soda, juice, water or any other cold beverage. Desk Lamp With Wireless Charger Just $10! Down From $20! Head over to Walmart to get this Mainstays Desk Lamp With Wireless Charger for just $10 down from $19.92 PLUS FREE store pick up or FREE shipping for orders $35 or more! 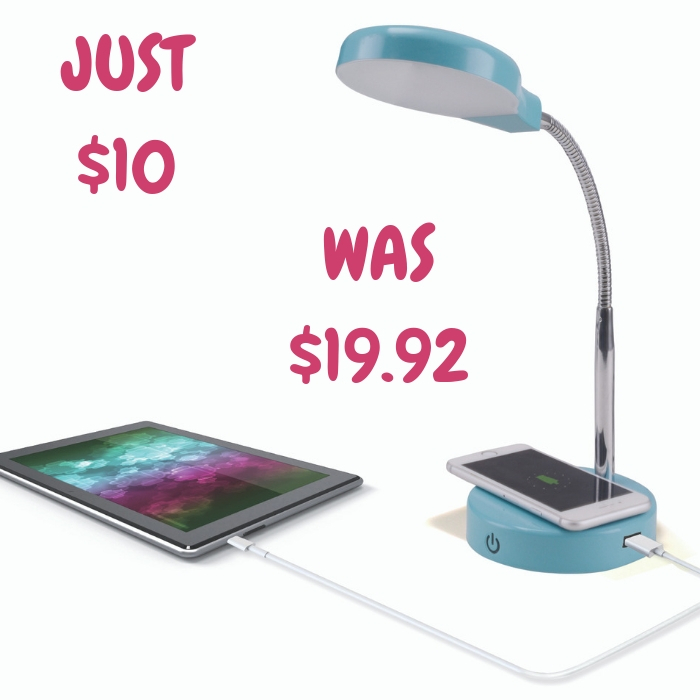 The Mainstays LED Wireless Charging Lamp is designed to help charge your electronics and mobile devices while providing light at your desk, table or nightstand. This convenient charging lamp features two separate ways to recharge your phones and electronic devices. Charge up two devices at a time with a touch sensor lamp base that allows qi-enabled and qi receiver-equipped devices to recharge simply by placing them on the lamp base. The charging base also features a separate, handy USB port with 1A of current for a powerful charge. When your device is running low on battery, simply plug in any of your USB-compatible devices to recharge and power up. Charge your smartphone, tablets, notebooks and more while you read, study or work. This charging device also doubles as a desk lamp for an easy lighting source that brightens up any room. 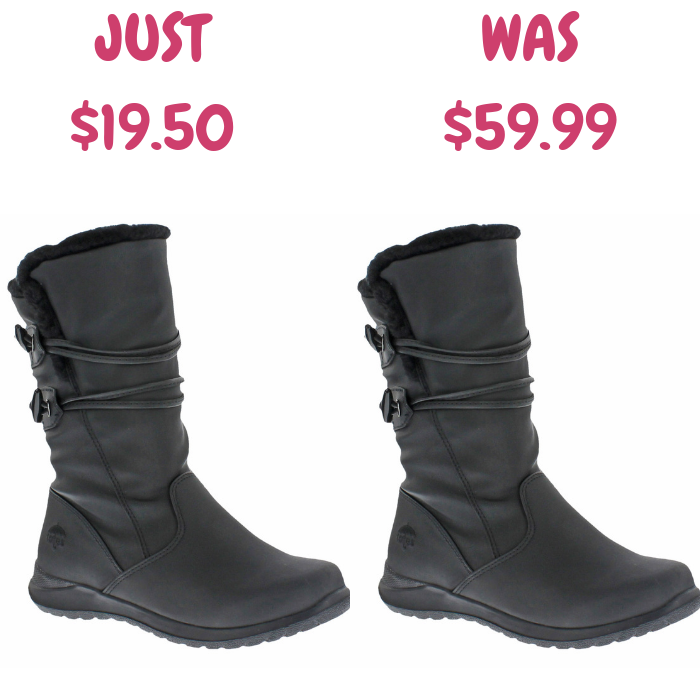 Women’s Judy Winter Boot Just $19.50! Down From $60! Head over to Walmart to score this Women’s Judy Winter Boot for just $19.50 down from $59.99 PLUS FREE shipping for orders $35 or more! This classic Totes style will help you stay warm in the thick of winter. 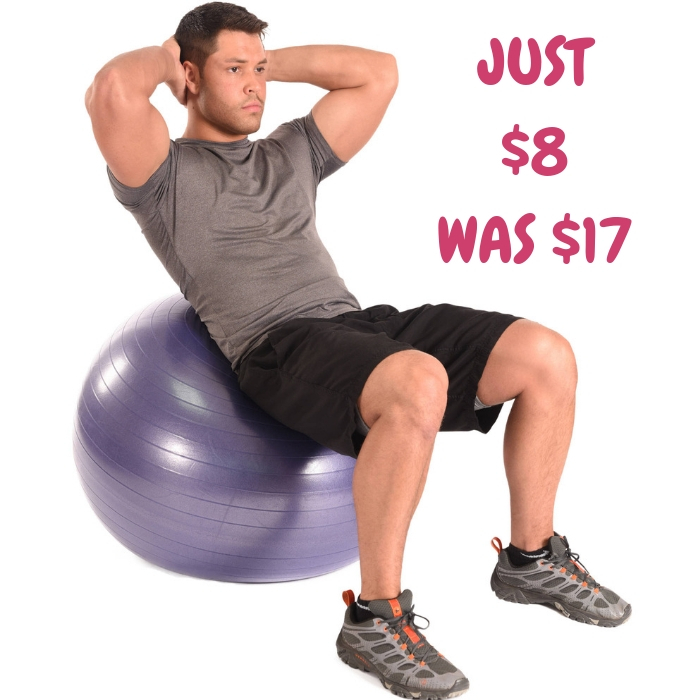 Anti-Burst Body Ball Just $8! Down From $17! Head over to Walmart to score this Anti-Burst Body Ball for just $8 down from $16.99 PLUS FREE shipping for orders $35 or more! Beginners and elite athletes alike can reap the benefits of body balls. By targeting your abs and lower back, the Calm 75 cm Anti-Burst Body Ball is ideal for strengthening, toning and improving flexibility in the core. Even more, upper body conditioning can also be performed on the body ball. You’ll definitely feel the burn in your arms, chest and shoulders.